Labyrinth marking and walking has been a practice of the Gestare Art Collective shared widely with a network of sisters in spirit in Canada and the US. It is a contemplative practice engaged for support at times the women face change in their lives. The labyrinth provides a space for meditation and reflection and plays a strong role in maintaining the connection in time/space for the members of the Collective who live at distance from each other. Barbara Bickel invited a circle of women spirit sisters to join her in a labyrinth marking and walking on June 11, 2013 on a visit to Vancouver BC as her professional life was taking a new turn. Medwyn arrived the same day at Gibraltar Point Centre for the Arts on Toronto Islands and created a co-event marking and walking a sand labyrinth on the beach there in parallel time with the Vancouver group. Women Spirit Labyrinth from Medwyn McConachy on Vimeo. At dawn on June 21 Barbara and Medwyn at Gibraltar Point beach along with other Gestare members in their geographically different locations, honoured the Summer Solstice. Guided by a ceremony from by Donna Henes a New York based urban shaman and ritual creator extraordinaire, we placed our tea in glass jars of water into the first rays of the sun. At the end of the day we greeted the moon rising drinking our sun tea and offering our gratitude for the cycle of day and night, light and dark, within which we are held in our lives on this earth. We repeated this offering daily during our residency, setting our tea into the day's light, sometimes into the day's rain, sometimes into the day's deep cloud and stormy winds - and each day the sun offered us nourishment through the tea. 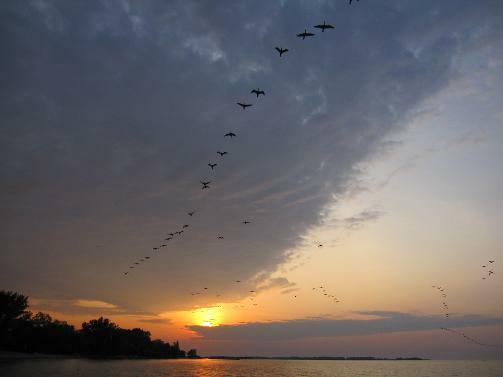 From June 22 to July 6, 2013 Barbara facilitated a residency at Artscape Gibraltar Point on Toronto Islands. 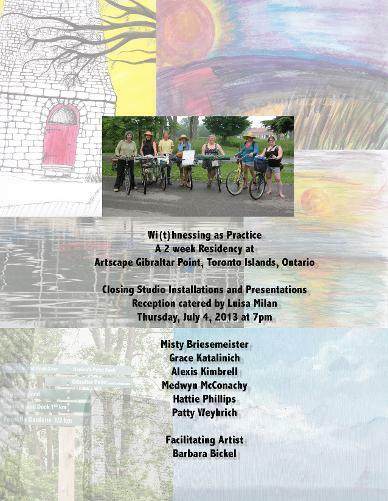 Gestare member Medwyn joined with residency artists Misty Briesemeister, Grace Katalinich, Alexis Kimbrell, Medwyn McConachy, Hattie Phillips and Peggy Weyhrich for the residency. Barbara arranged artist talks and visits, video screenings, and expeditions to discover some of the less known areas on the Islands. The group experience inspired each artist in their individual artmaking projects which were presented in an open studio on completion of the residency.